Gourmet gift baskets—a Dash of Thyme specialty! Send a hand-crafted gift filled with breakfast goodies just perfect for the foodie in your life. 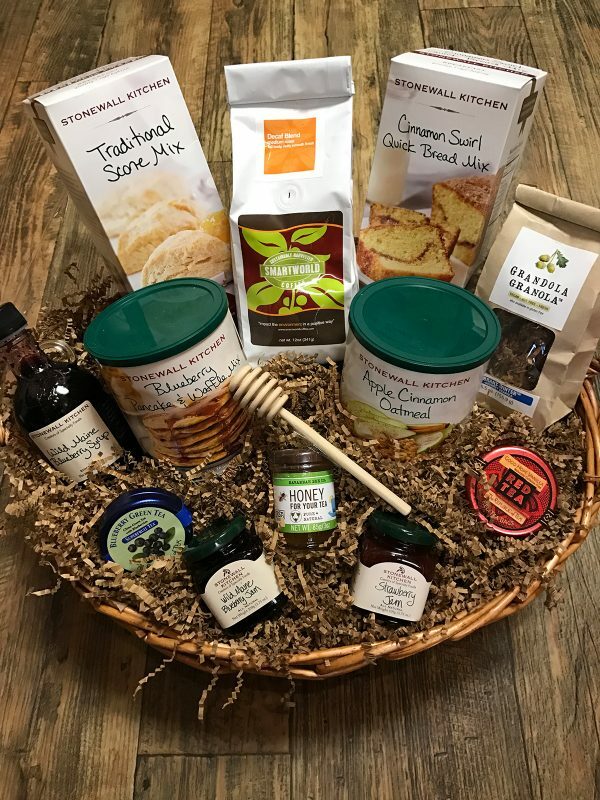 Your basket may include some of the following: coffee, tea, honey, pancake mix, scone mix, syrup, oatmeal, granola and jelly/jam.